PhD, Harvard (1913); Assistant Professor of Physics, Massachusetts Institute of Technology (MIT); Professor of Physics and Executive Head of the Department of Physics, Stanford University; founding member and former President, American Association of Physics Teachers (AAPT). Research in x-rays, microwaves and atomic physics. November 6, 1888Birth, Boston (Mass.). 1910Obtained AB, Harvard University, Cambridge (Mass.). 1910 – 1917Instructor in Mathematics (1910-1911), Assistant in Physics (1911-1915) and Instructor in Physics (1915-1917), Harvard University, Cambridge (Mass.). 1913Obtained PhD (Physics), Harvard University, Cambridge (Mass.). 1917 – 1919Researcher, U.S. Army Air Service. 1919 – 1920Assistant Professor of Physics, Massachusetts Institute of Technology (MIT). 1920 – 1954Professor of Physics (1920-1954) and Executive Head, Department of Physics (1920-1941), Stanford University, Stanford (Calif.). 1923Member, National Academy of Sciences. 1929 – 1948Member, Board of Editors, "Review of Modern Physics.". 1933 – 1935Member, Board of Editors, "American Physics Teacher.". 1933 – 1937Vice President (1933-1934) and President (1935-1937), American Association of Physics Teachers (AAPT). 1941Civilian with the U. S. Army Air Forces (USAAF), Civil Aeronautics Administration. 1942Head physicist, Signal Corps, U.S. Army. 1942Consultant, National Defense Research Committee. 1942 – 1943Head Physicist, Ordnance Department, U.S. Army. 1943 – 1950Chief Physicist (1943-1945), and consultant (1945-1950), U. S. Army. 1954 – 1976Emeritus Professor of physics, Stanford University, Stanford (Calif.). 1961 – 1963Consultant, Hawaii Institute of Geophysics. 1962 – 1974Consultant, Ames Research Center, National Aeronatuics and Space Administration (NASA). Atomic physicist and physics educator. Second wife, married September 1951. First wife, married June 1912. Collaborated in founding of American Association of Physics Teachers (AAPT). Collaborated in founding of the American Association of Physics Teachers (AAPT). Co-wrote the textbook "General Physics for Colleges." PhD advisor at Harvard University, "I. On an electromagnetic theory of gravitation. II. On the existence and properties of the ether," and both employed at Harvard University. Co-wrote "A general survey of the present status of the atomic structure problem." Both employed at Stanford University. Both employed at Stanford University. Served under Millikan as a lieutenant in Science and Research Division of U.S. Army Signal Corps. Took courses from Byerly at Harvard University. Took courses from Coolidge at Harvard University. High school physics teacher who influenced Webster to pursue a career in physics. Took courses from Huntington at Harvard University. Students at Harvard University together. Took courses from Osgood at Harvard University. Attended Harvard together and both held office in the American Association of Physics Teachers (AAPT). Took courses from Peirce at Harvard University. Took courses from Sabine at Harvard University. Obtained AB and PhD in Physics. Assistant in Physics and Instructor in Physics. Professor of Physics; Executive Head, Department of Physics; and Emeritus Professor of Physics. American Association of Physics Teachers records of David Locke Webster, 1930-1958. David Locke Webster correspondence concerning William Duane, 1954-1970. David Locke Webster papers, 1914-1966. David Locke Webster papers, 1915-1973. Preliminary experiments on the distribution of ionizing power in the tungsten x-ray spectrum: research notebook, 1915. Reminiscences of a Rolling Stone [autobiography], 1977. 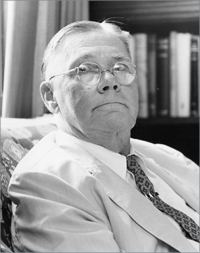 Reminiscences of David Locke Webster : oral history, 1963. Oral history interview with Wallace B. Reynolds, 1975 December 12. Papers of physicists and astronomers in Hoover Library, 1918-1965. Stanford University, School of Engineering, Dean's Office records, 1915-1969 (inclusive), 1925-1955 (bulk).